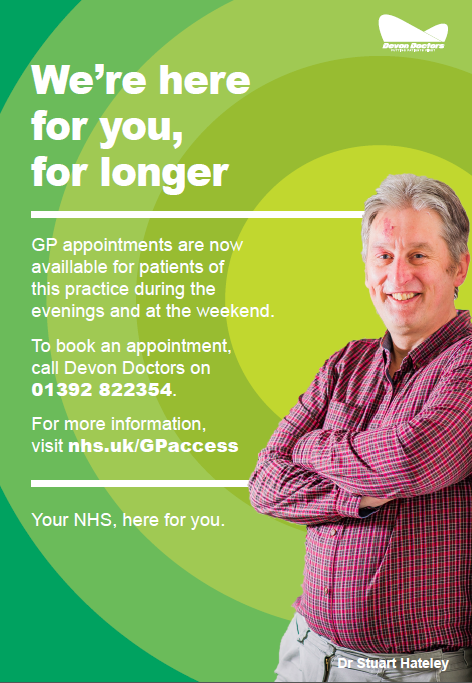 Pathfields Medical Group offers all the services you would expect from a modern Primary Care team, plus a host of others. Our Practice is a dynamic, innovative group and although we are rapidly expanding, we haven’t lost our personal touch – so your feedback always matters. 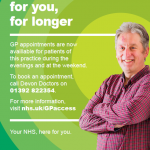 Pathfields Medical Group introduced the new initiative in November 2016 that will improve the care you receive from the practice. We have developed an Acute Team of Doctors, Nurses and Pharmacists to help you with your medical problems quickly and efficiently. If you need an urgent, same day assessment you should telephone your usual surgery, preferably as early as possible. The receptionist will ask you some questions to enable the Acute Team to prioritise the calls. A member of the Acute Care Hub will contact you for a telephone consultation with a view to dealing with your medical problem over the telephone. When you phone in for an appointment please expect to be asked some additional questions by the reception team via a triage template set by a GP so that they can help the medical team prioritise your call and ensure you get the right care at the right time. The script is a decision support tool to book you into the right area of the practice. You don’t have to give information, but they will be able to book you with the right person if you give them more details. Our receptionists will arrange for a member of the Acute Team to telephone you back immediately if your symptoms are medically urgent. The Acute Team will make sure you have access to the most appropriate member of the clinical team who will be able to help you.